Composting is a natural process in which aerobic organisms break down organic matter. Controlled composting ensures the proper conditions (temperature, pH, types of organic residuals) are present to rapidly create quality compost. Compost is a valuable soil amendment, providing organic matter and nutrients that enhance soil quality and crop growth. 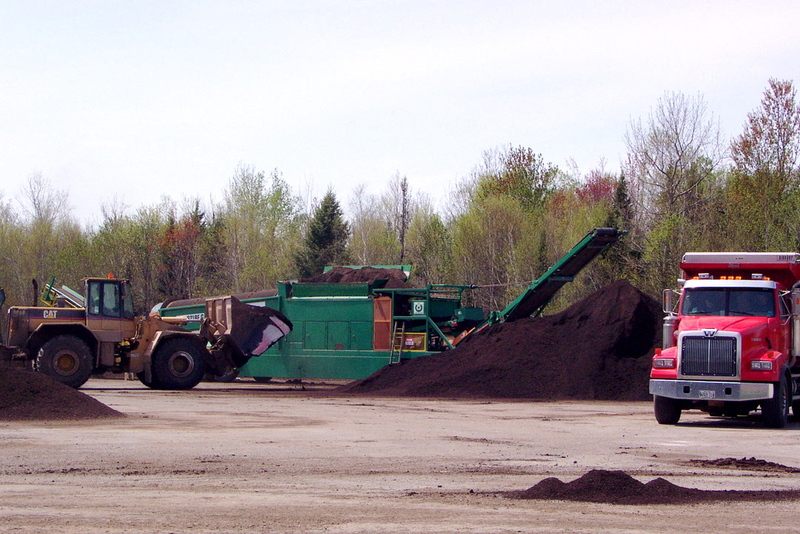 Biosolids and other organic residuals are commonly composted in communities throughout North America. Some of these residuals are composted with just wood chips and/or sawdust. Others are co-composted with yard & leaf debris, food scraps, food processing residuals, pulp & paper mill residuals, wood ash, etc. Mechanical biosolids compost turning, enclosed biosolids composting facility, Lewiston-Auburn, ME. This graphic comes from the Institute for Local Self-Reliance (www.ilsr.org), a national nonprofit organization working to strengthen local economies, and redirect waste into local recycling, composting, and reuse industries. It is reprinted here with permission. May 2016.